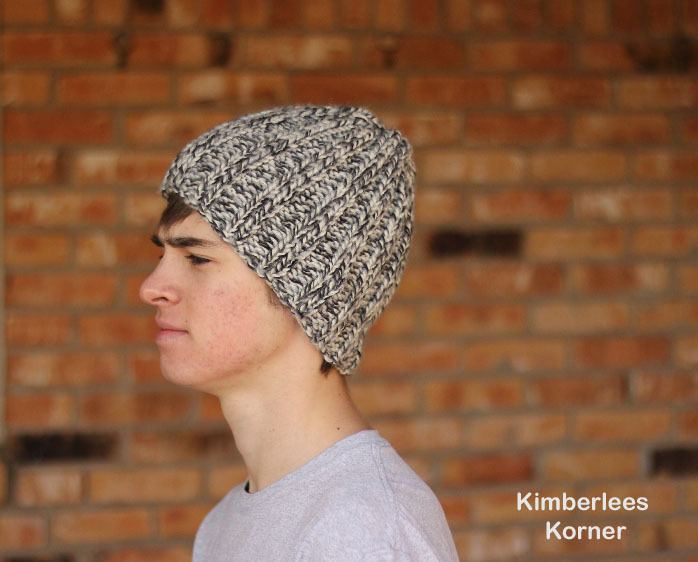 This free knitting pattern is for a rib knit hat I recently designed for my son. He was going on a skiing trip back in December and needed a warm hat. I had some WoolSpun yarn from Lion brand yarn in my stash and decided it would be perfect for a ribbed beanie style hat for him. He had requested black and this yarn had black in it. The hat is knit in the round using size US 10.5 circular knitting needles that are 16 inches long in length. Double point needles can also be used if you prefer them for knitting hats. The pattern can be knitted in a size small, medium or large. The yarn I used for the hat above was the Lion brand Woolspun. 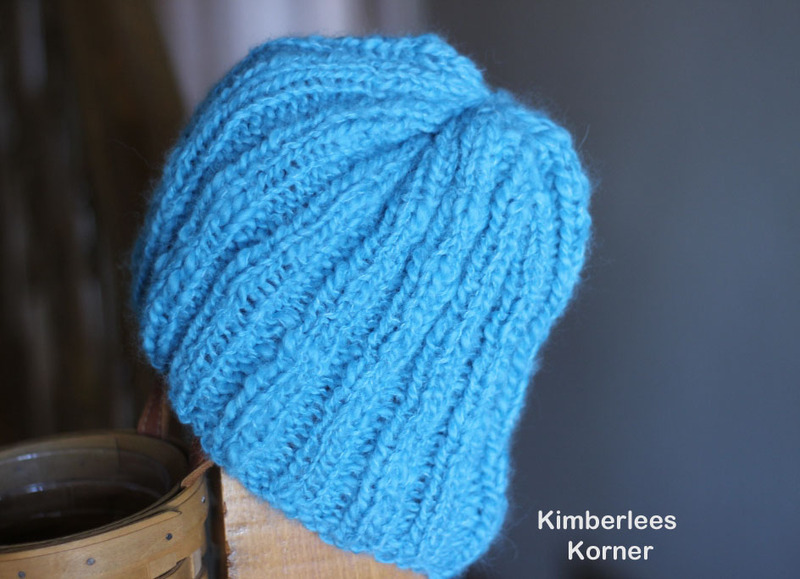 You only need 1 skein of it to complete this rib knit hat pattern. The yarn is 80 % acrylic and 20 % wool. My son said it kept his head warm on his skiing trip last month. He has also been wearing it lately as we have had some rather cold weather the past week in Texas. The hat in the above photo was knit with Nashua Paradise yarn. This is some yarn I bought years ago and had in my stash. I only had 1 skein and figured it would be good for a hat since there was only 87 yards on the skein. It took the whole skein to make this one hat. The yarn is a boucle type of yarn that is very soft. It recommended a size 8 to 10 needle but it worked out with the 10 1/2 size needle just fine in my opinion. 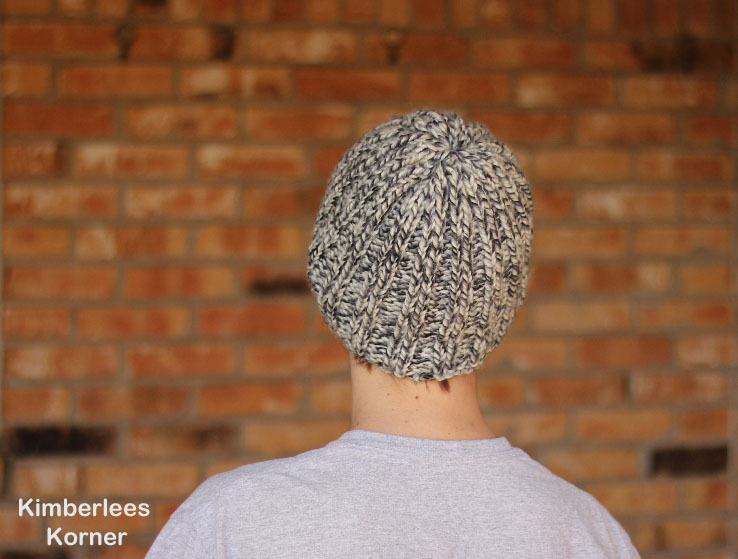 Click here: Free Rib Knit Hat Pattern to download the pattern. It is an easy knit hat pattern and can be completed in a day. I hope you enjoy the free rib knit hat pattern. To see other patterns I have designed please visit my etsy shop. I also have patterns on craftsy and ravelry. This entry was posted in Knitting and tagged in free knitting pattern, free rib knit hat pattern, knit hat patterns, knitted hat pattern, knitting, ribbed beanie pattern.